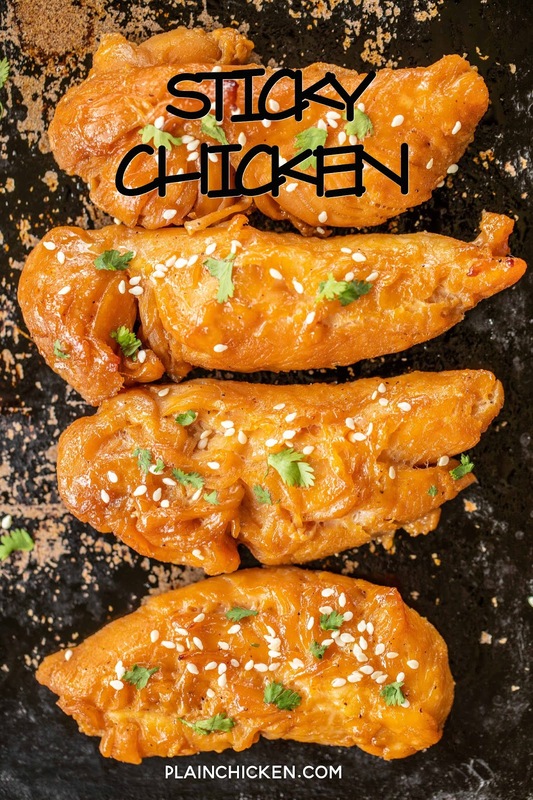 I ran across this recipe for Sticky Chicken in one of my old community cookbooks. I love community cookbooks. SO many easy and delicious recipes! Real recipes from real people! 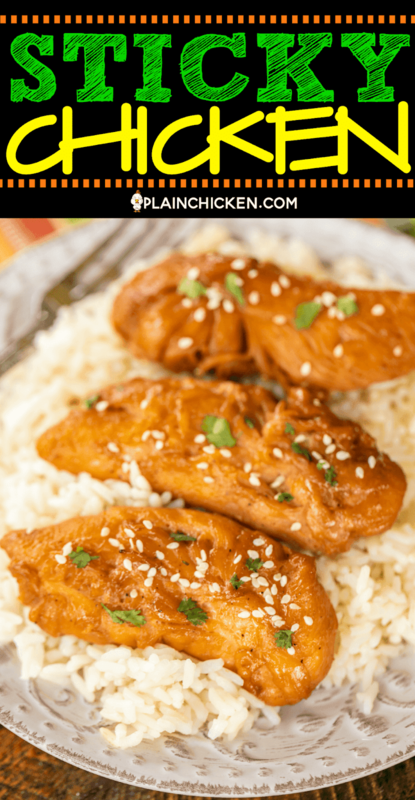 I saw this recipe and liked all the ingredients - brown sugar, teriyaki sauce, soy sauce, butter, Creole seasoning and dry mustard. I thought it was an interesting combination. 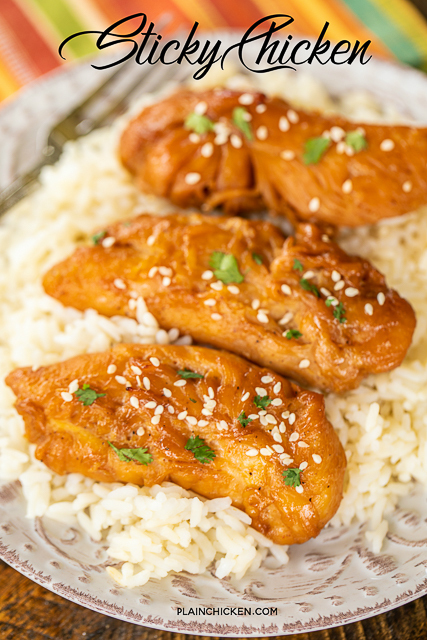 Asian flavors with the creole seasoning - YUM! 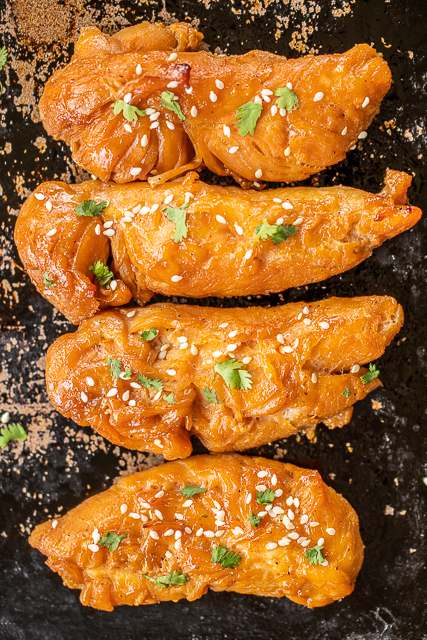 The original recipe used chicken wings. I wasn't in the mood for wings, so I substituted chicken tenderloins. I wanted this recipe to be more of a meal. Wings feel like appetizers/party food to me. I let the chicken marinate overnight for maximum flavor. Once I was ready for dinner, I removed the chicken from the marinade and baked. You could even pan sear the chicken or grill it. I think once the weather warms up, we will try grilling these! We served the chicken over rice. I garnished it with a little sesame seeds and cilantro to keep with the Asian flare. 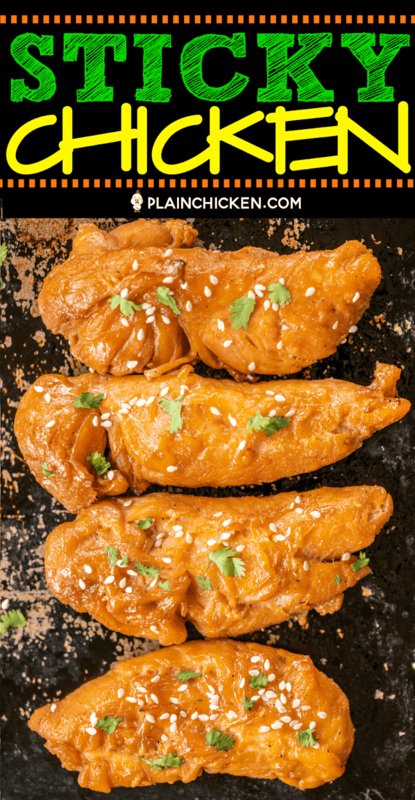 The chicken would also be good over some spicy noodles or chopped up in a salad or wrap. We loved this chicken. I made a lot of chicken so we could eat it leftover for lunch during the week. Perfect!! Whisk together brown sugar, soy sauce, teriyaki sauce, butter, creole seasoning, and dry mustard. Place chicken in a ziplock bag. Pour marinade over chicken, seal bag. Refrigerate 1 hour to overnight. 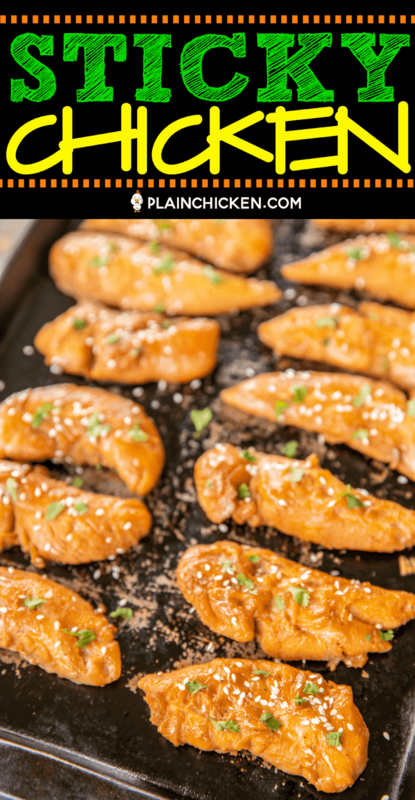 Remove chicken from marinade and arrange on baking pan. Cook for 20 to 25 minutes, until no longer pink. Yum!!! I am definitely grilling these this summer - that Traeger grill is getting a workout once the weather breaks! Is this spicy? I've never had Creole seasoning so I'm not sure what to expect. 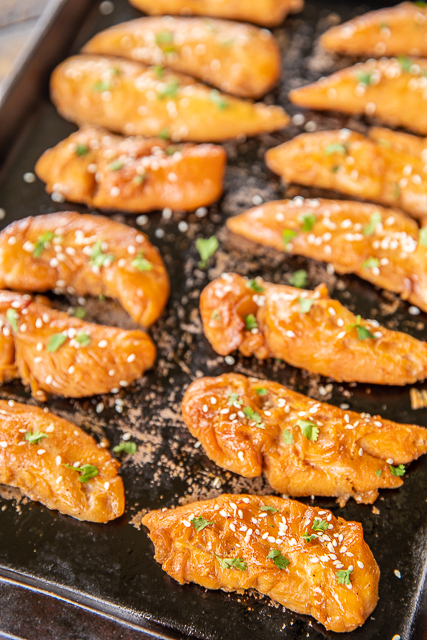 I'm trying to determine if I could make these for dinner with my toddler.